You think you have the whole wedding figured out: the venue, the food, the bridal gown and everything else. However, for all of this to make a difference, you have to plan out your time. Transportation is not a minor aspect of the event, and there is no better way to address it than to resort to limo hire services. A beautiful, sleek limousine creates all the impact you need to make your wedding that much more fabulous. It provides many benefits, some of which you cannot get otherwise. Style and class – a limo brings class and unique style to any event. It can easily reach 8 metres long and will surely make heads turn as it passes by. It is the vehicle of choice to make you feel like a VIP on a notable day. As you arrive at the wedding venue, you can expect nothing short of excitement and joy from the people that see you come out of the vehicle. Regardless of the theme of the wedding and the colour, a limousine will just fit nicely and enhance the event big time with its class and style. Comfort – if the weather is hot, you will have a hard time with a huge bridal gown. Getting to that wedding destination in comfort is not something you want to sacrifice. Given that a bridal gown takes up quite a bit of space, a limousine seems a perfect choice. Not only can the bride travel in comfort, but also enjoy amenities only a limo provides. Air-conditioning, TVs, sound systems and ice-cool drinks are just some of the benefits of using a limousine as a means of transport on the wedding day. 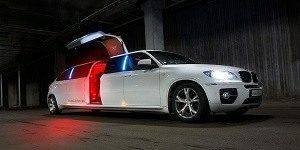 A cost-effective solution – on average, a limousine fits no less than 6 people. Thus, the cost of hiring this vehicle is not that bad, compared to other means of transportation. The wedding couple can easily fit all of their groomsmen and bridesmaids in a vehicle like that, ensuring everyone gets to the venue on time. Luxury in abundance – as you open the door of the vehicle, you enter a world of luxury. Leather seats and perfect lighting create the perfect mood. Get on the back seat and soak up the spirit of the event. A unique experience – if you ask around, everyone will tell you that your wedding day must be perfect. The touch of style and class the limo adds can make it so. As you sit in the back seat of a luxurious limousine, you will soak up the great mood of the event. It won’t be long before you feel like every single moment is worth it. 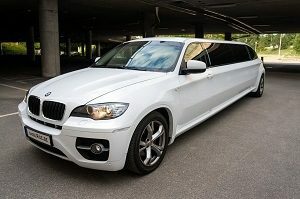 As you can see, you have every reason to resort to a limo hire service. It will create some memorable moments on your very important wedding day.